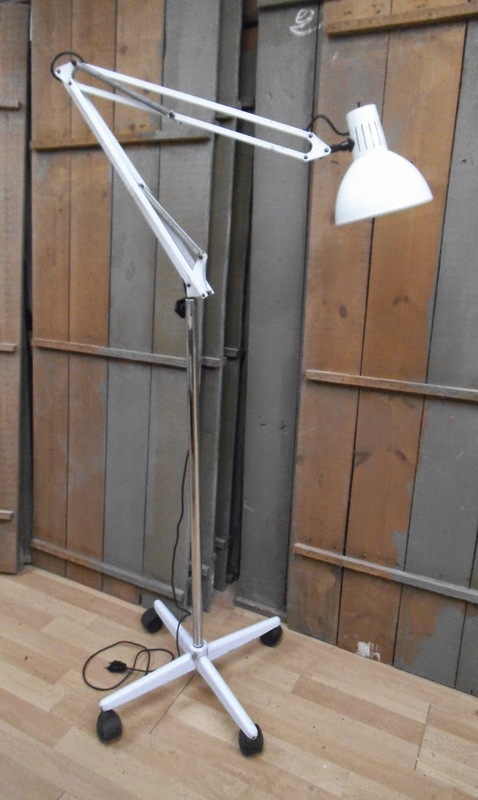 This industrial looking floor lamp is made by joining two vintage lamps from the Spanish firm FASE -hence its name, 'Duo'. 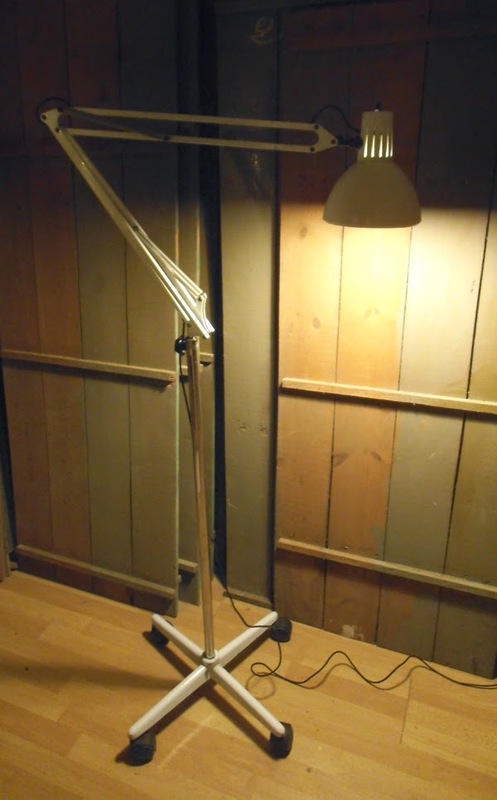 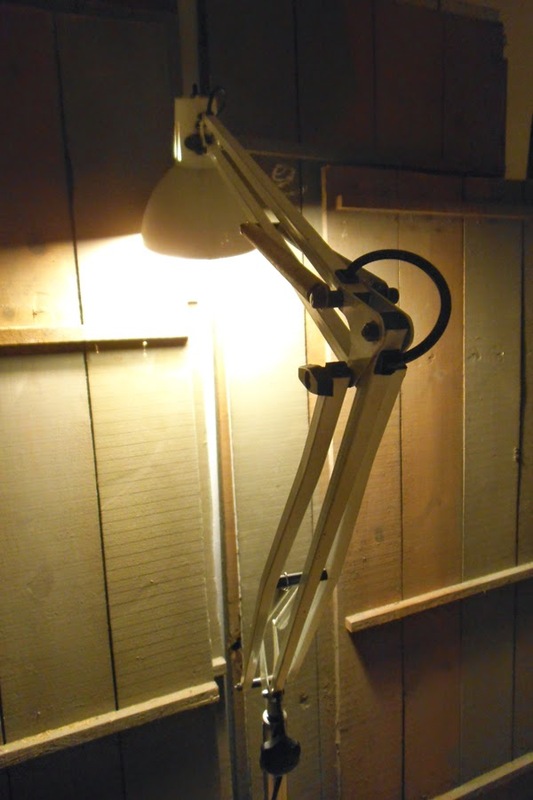 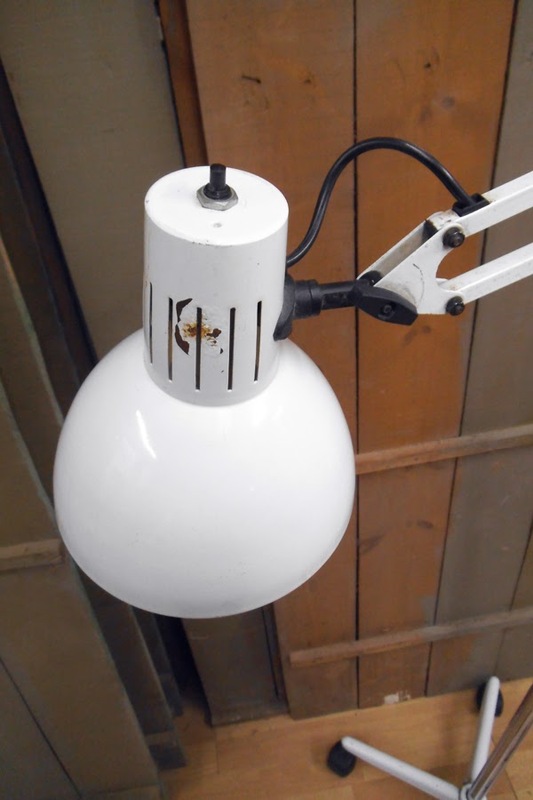 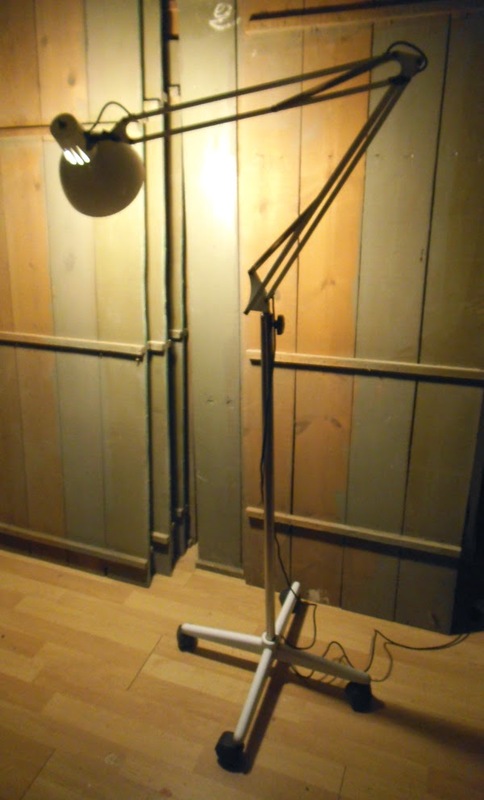 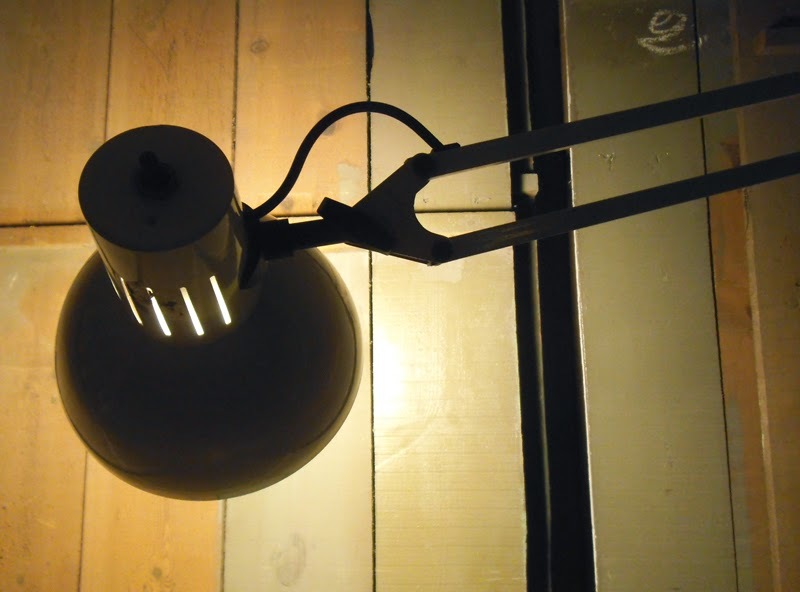 The foot was part of a medical examination floor lamp, and the top is an architects light. 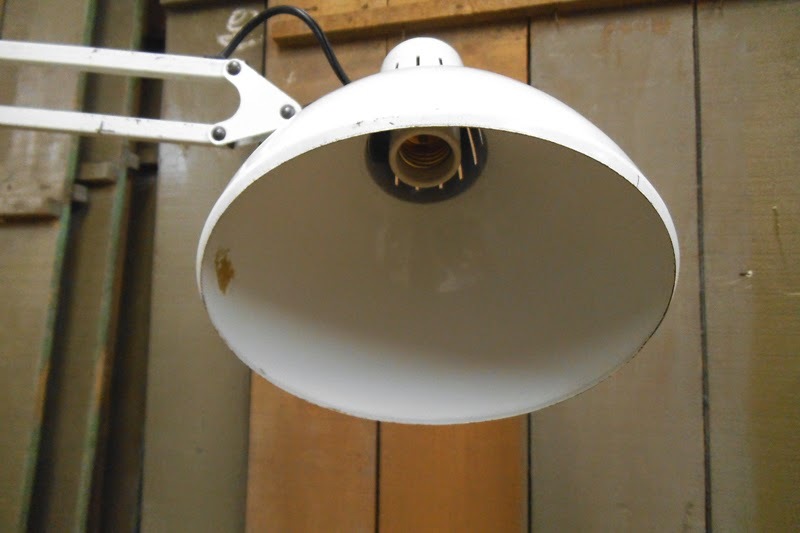 Both are quite sturdy, enamelled in white with some nice patina and small dents. 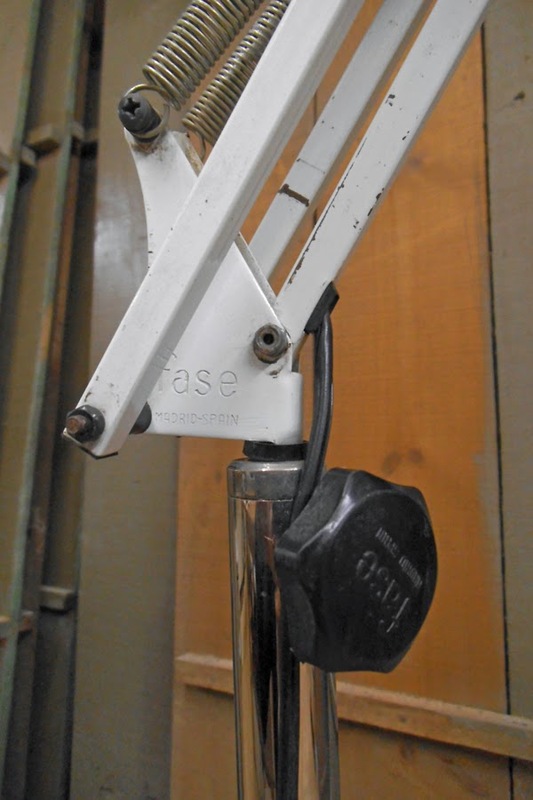 Check the pictures below for further details. 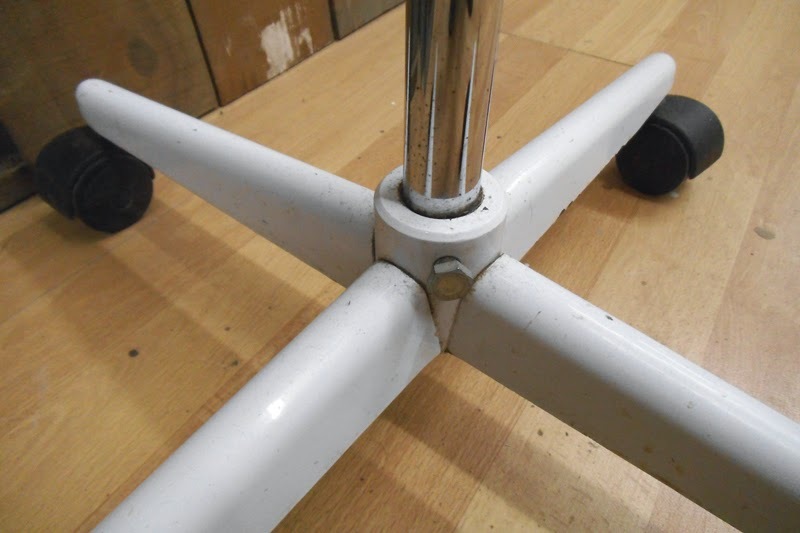 Measures: foot 53cm wide; two foldable arms 50cm each; shade 19cm high, 18cm diameter; average height (with the arms half way bent) 160cm.